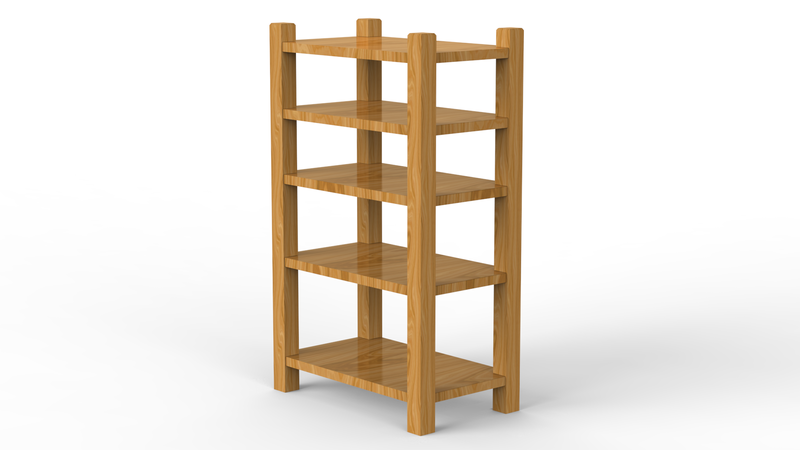 Build a 5 shelf magazine rack or bookcase. 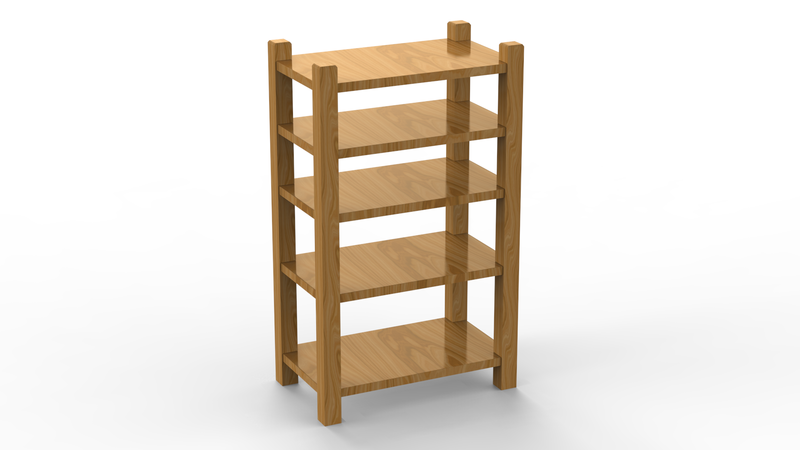 Click here for detailed magazine rack/bookshelf plans. Click on each image above of the bookcase to see a larger version. 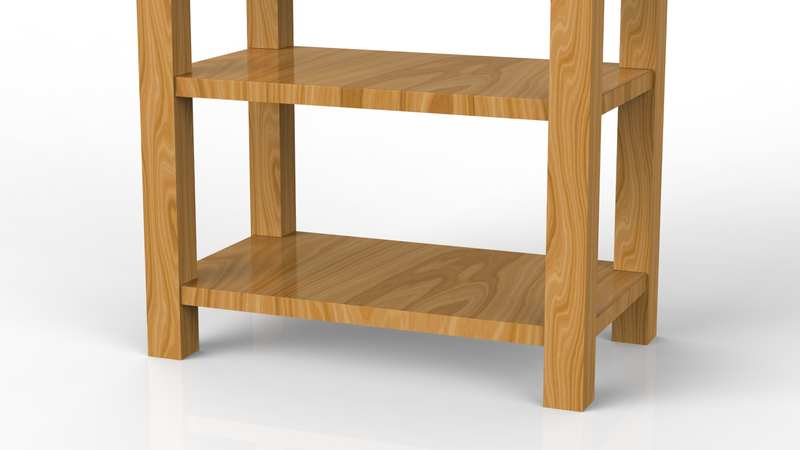 This bookcase is constructed so that each piece may be polished, stained and finished before it is finally put together. 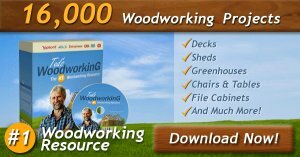 Quarter-sawed oak is the best wood to use. Plain-sawed oak looks good, but it is more liable to warp than quarter-sawed and this is quite an element in pieces as wide as the ones here used. 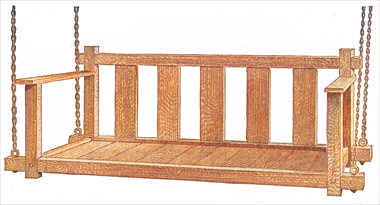 4 posts, 2 by 2 by 40 in., S-4-S.
5 shelves, 1 by 14 by 24 in., S-2-S.
20 F.H. screws, 2 in. long. Considerable labor can be saved if the material be ordered from the mill ready cut to length, squared and sanded. The corner posts should be made first. The most convenient and accurate method of laying out the mortises is to square one end of each post and lay them on the bench flat, with the squared ends even with each other; then clamp them securely and lay out the mortises on one side across all four pieces at once; then loosen the clamp and project the marks to the other side with a try-square. Now saw along these marks, making each cut just deep enough to bring the mortises diagonally across the piece from one corner to the opposite corner as shown in the detail sketch. 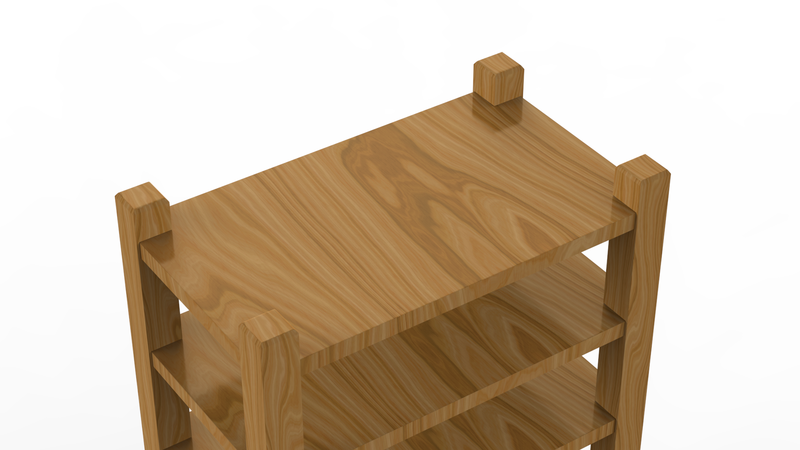 Be careful not to get the mortises wider than the shelves are thick. Bevel the tops of the posts as shown. See that the ends of the shelves are square and smooth, then set a scratch gauge so that the scriber is just 2 in. from the face of the block and mark this distance off each way from the corner of the shelves. Saw these corners diagonally across as shown, being careful not to saw off too much. The parts can now be assembled. Place all the parts in position, then pass a rope around each end and twist it up tightly with a small stick. If this is properly done, you can now pick up the rack and handle it in any way you wish. The screws can now be put in the corners. You can use flat-head screws and plug the holes, or you can use round-head blue screws and let the heads project. After the screws are all in, dress off all unevenness where the shelves are mortised into the posts, then mark each shelf and post so that you can put it together again after the parts are finished. Take the rack apart and transfer the marks to some part of the mortises and shelves that will not be covered with the finish you intend to put on. 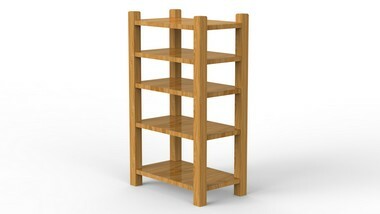 Apply the finish you wish to use and when the parts are thoroughly dry they can be reassembled and your bookcase will be complete.